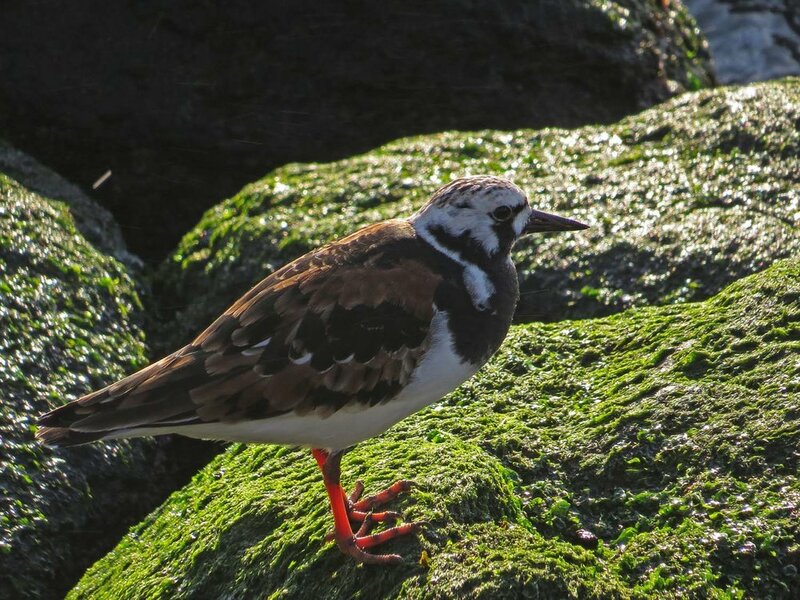 June 1, 2017, I visited Broad Channel Park on Jamaica Bay and was honored to watch hundreds and hundreds of ruddy turnstones (Arenaria interpres) on the shore and a rotting pier. 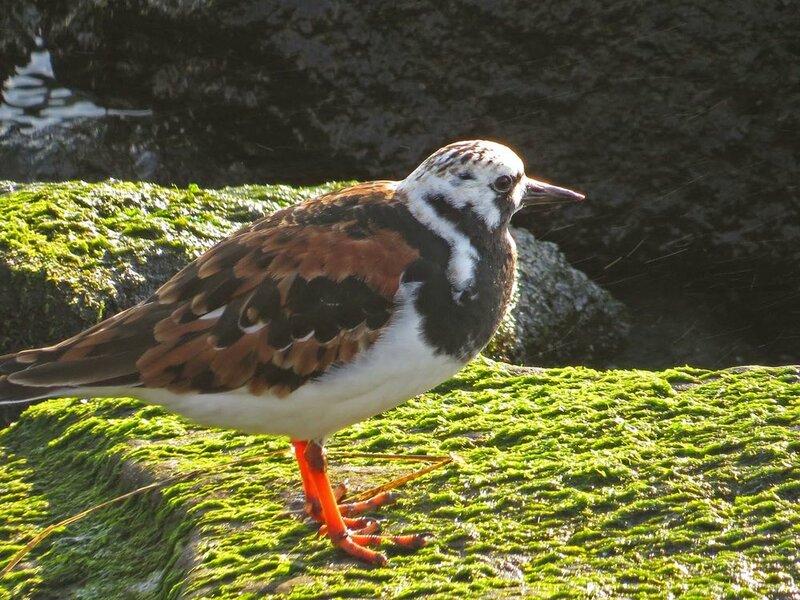 I photographed them and did a second ruddy turnstone video (see below for the first). You'll also note a common tern, very loud willet and several sandpipers (not yet completely identified). 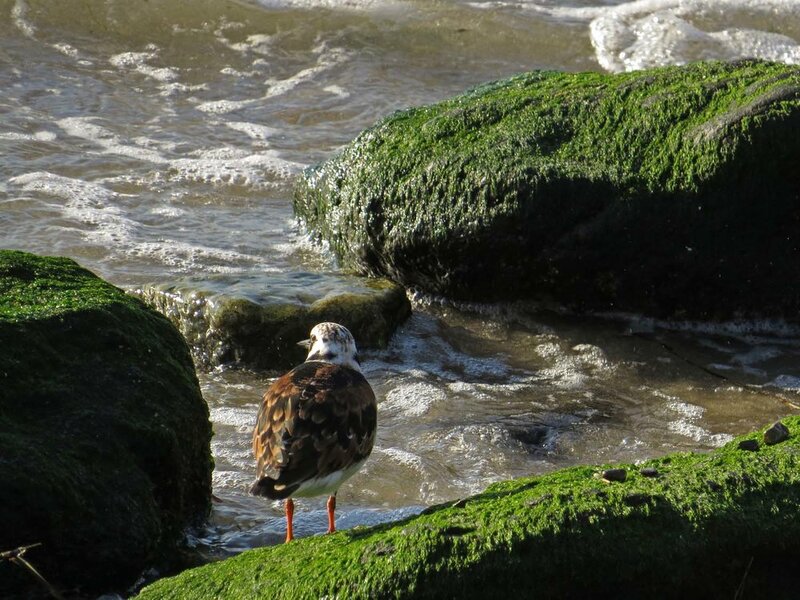 September 13, 2018, a ruddy turnstone hangs out on a jetty at Midland Beach on Staten Island. 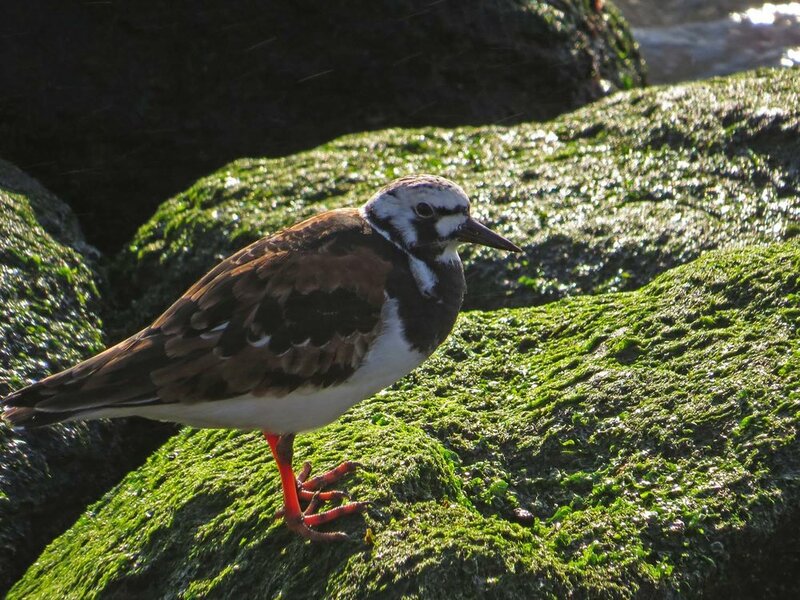 This ruddy turnstone (Arenaria interpres) was seen on May 14, 2017, at the Rockaway Tribute Park (B 116th Street), rooting around the rocks. These birds nest in the arctic, and they got their name because they use their beaks to turn up pebbles and stones to find bugs and crustaceans. Check out the orange, orange legs! The Filming the Feathers video features music by Wolfgang Amadeus Mozart, Oboe Quartet in F, K. 370, performed by Storch, Reynolds, Iglitzin and Brennand. All the photographs were taken on May 14, 2017.